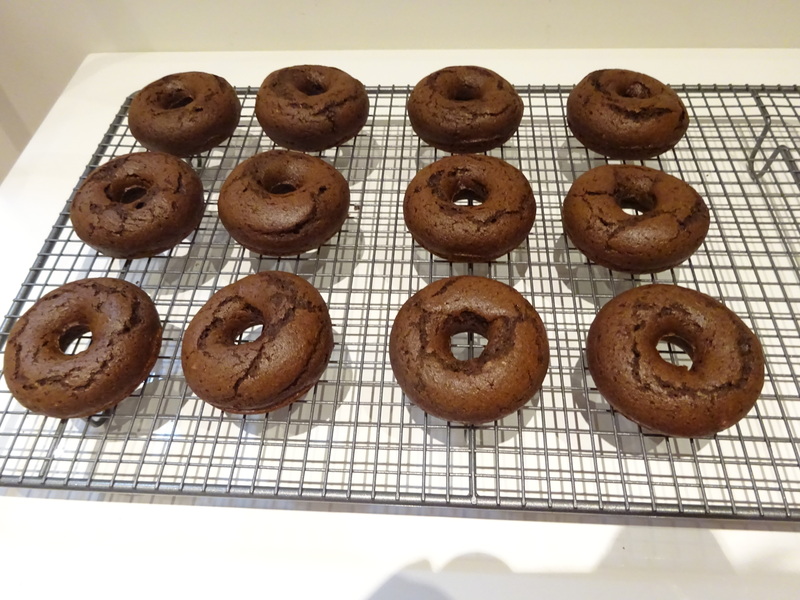 Baked Chocolate Doughnuts – Choyful. For me when I was in Paris, I kept up to date with the food things of Melbourne via Instagram. 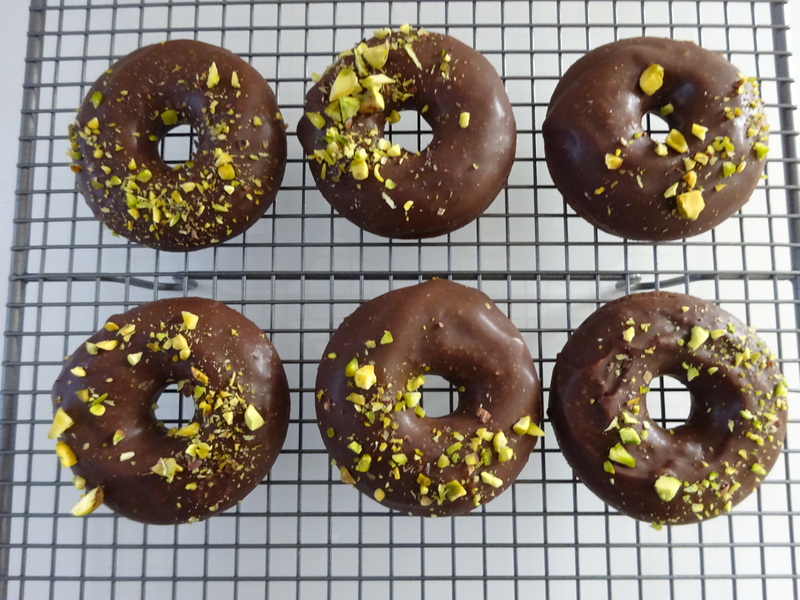 One of the things I saw that appealed to me most was this thing called “baked doughnuts”. 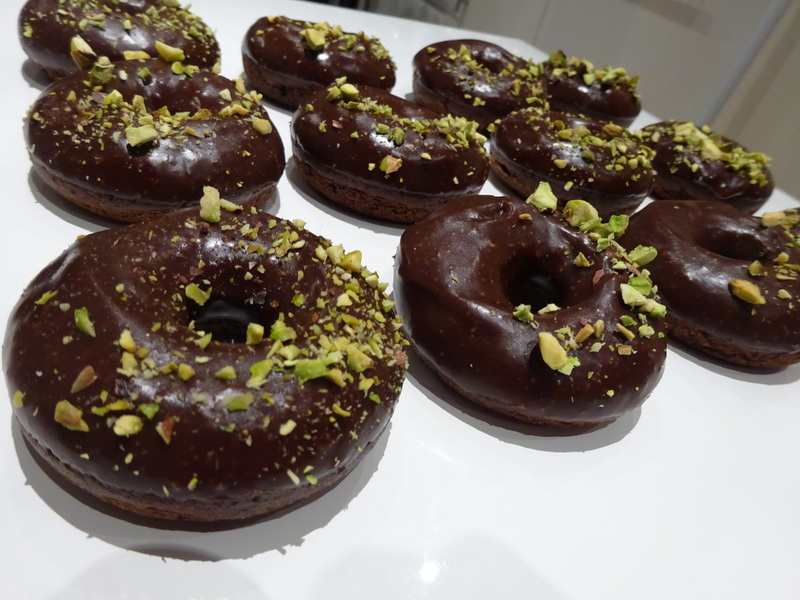 I did not own a doughnut pan, so on return to Melbourne the search began. 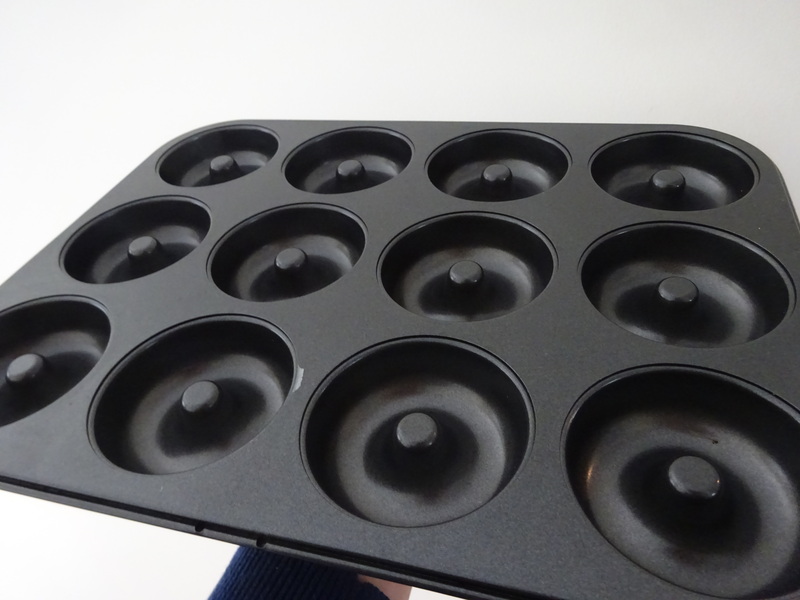 High and low, all baking stores did not carry this mysterious pan but it was at BIG W was where I found it and it was such a happy moment 😛 took me two weekends to find this pan. 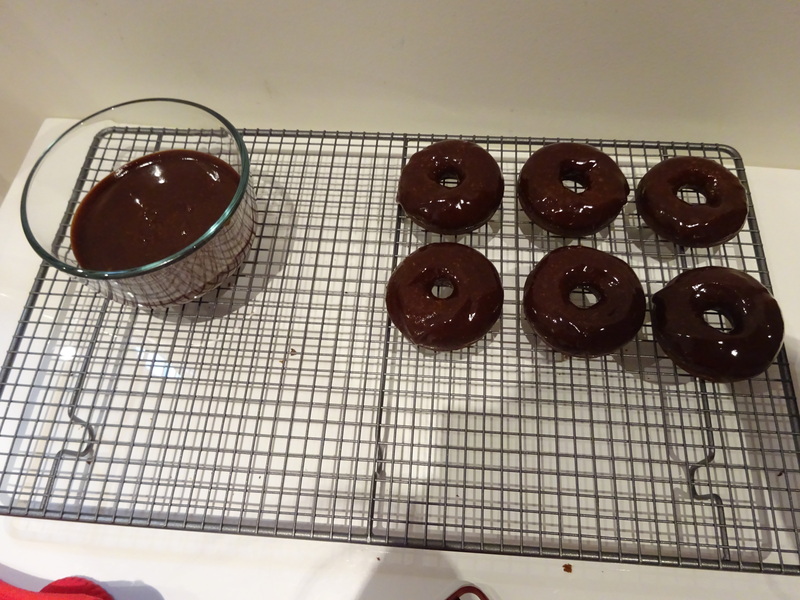 And so the baking began………. Sorry for the lack of pictures here of my mistakes, they were all stored on my old phone which sadly will not turn on for me to retrieve them. On the first attempted I used a gluten free recipe and didn’t realise I had to wait till they completely cooled down from the pan to unmould SO it all came out as a gloopy mess (not trying that recipe again). On the second attempt with a normal cake recipe I over filled my pans SO 😛 you guessed it I got muffin tops!!!! I was so disappointed by these results that I actually put the pan aside and didn’t attempt again for another two weeks. Just so disappointed!!!! Pour melted chocolate and butter into a separate bowl and stir in brown sugar, egg, milk and salt. Bake for 10mins (or until skewer comes out clean). When baking is finished let it cool for 5mins in the pan and remove onto cooling rack. Then prepare the glaze. Melt butter and chocolate over a double boiler then add in sugar, corn syrup and cream mix until combined. 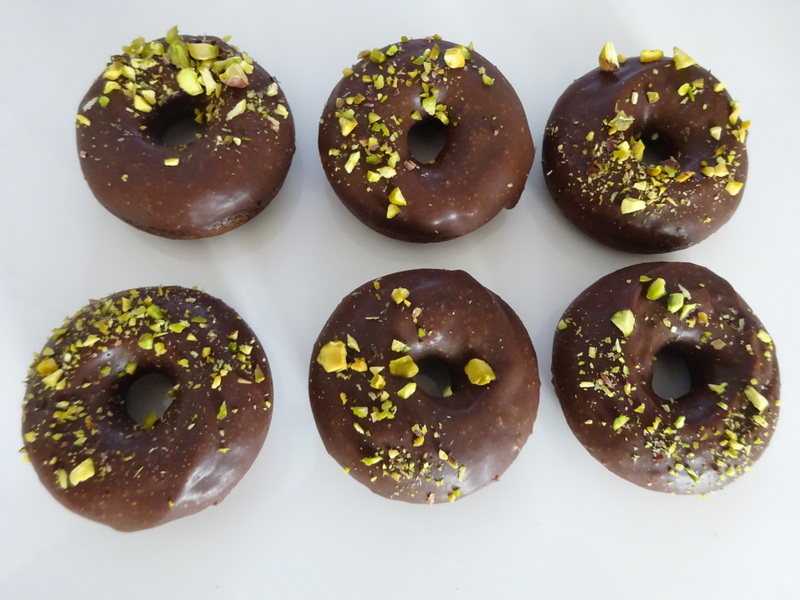 Dip the doughnuts and decorate as you go as the glaze does harden up a little and it will be hard for the pistachios to adhere to the glaze. They look beautiful – just shows yo have to keep persevering.